A friend and I fished the Mabacan river as Pedring was leaving the country. The river was high and the water looked like chocolate milk. 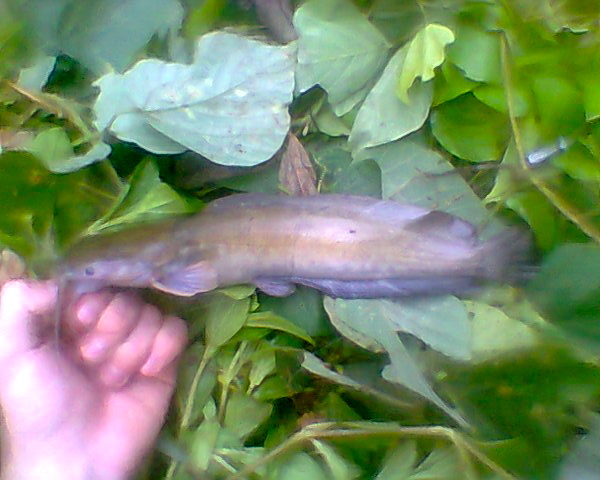 We fished for eel and catfish on the bottom with large worms. We caught a total of four Native Hito and and five One Spot or Paitan. My buddy hooked a big Eel (Palos) which we estimated to be around 2-3 kgs, but it broke the line when we had it two feet from shore. 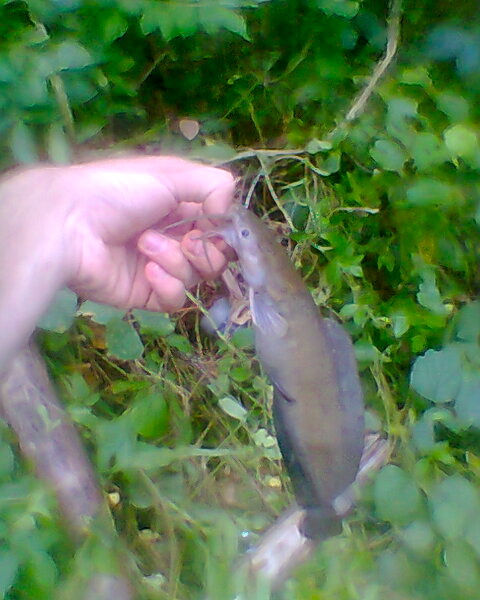 Fishing high muddy rivers during the end of rains seems good for eels and catfish. They must leave their holes and rocks in search of food. 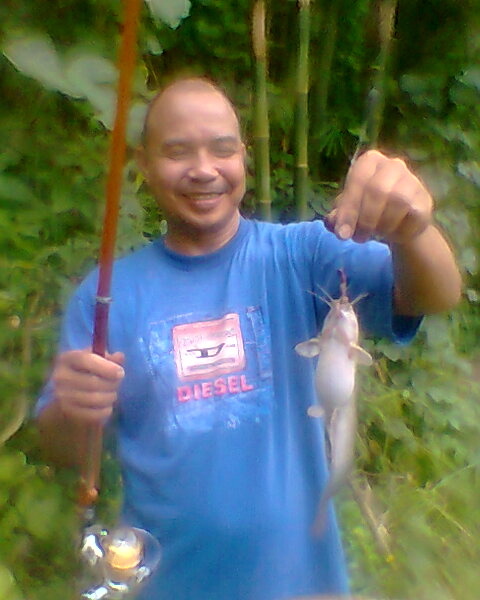 Posted on September 29, 2011, in Catfish (Hito), Eel (Igat). Bookmark the permalink. 1 Comment. can you distinguish a taiwan hito (clarias batrachus) from an african hito (clarias gariepinus) from our native hito?……..mukhang iba ang native hito mo sa hito na nahuhuli ko sa ilog sa san pablo, laguna. according to some sources, one can differentiate the three species by their occipital process, which is located at the back of the head (banda sa batok). but if you refer to the website of fishbase, hindi lang iisa ang species ng hito endemic/indigenous sa philippines. pwede ba i-generalize na lahat ng native hito sa philippines ay crescent shape ng occipital process?…….lahat ng hito na nahuli ko sa ilog sa san pablo, laguna ay maliit, either dark brown to mottled ang sides, white underbelly, may white spots sa body pero hindi crescent ang occipital process. more of similar sa occipital process ng african hito sa description pero pointed. hindi pa ako nakakakita ng african hito at hindi ko pa confirmed ang taiwan hito kaya ako nalilito. can you help me?